Encouraged by the tremendous support of the people of Udaipur, the Fine Dine Restaurant, Jhumar Restaurant was started in the city of Lake Udaipur Rajasthan India. 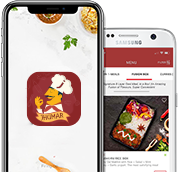 Jhumar, the Family Restaurant near Lake Fateh Sagar is a Multi Cuisine Restaurant serving Traditional Indian, Authentic, delicious, mouth watering Chinese, Continental all under one roof and now offers online food delivery in Udaipur. Choice of Indian, Rajasthani, Gujrati, Chinese, Continental, Cuisines Is Available To Satisfy The Taste Buds Of All Discerning Gourmands.We Provide some of special dishes of Mewar Region like Rajasthani food “Dal Bati Churma”. Chefs who make the Dish Special. They make sauces sing and salads dance. They create magic with skill, knowledge, passion, and stirring spoons (among other things). They make goodness so good, it doesn’t know what to do with itself. We do though. We send it to you. Go ahead. Eat Indian, its fresh and delicious Food. The world - at least, its food - is full of goodness. And you shouldn’t need a plane ticket to experience it.